A New approach to New Years resolutions with Marshalls. New Year’s resolutions are easy to keep,” said no one ever. I’ll be honest, each year my husband and I set a couple goals but really struggle with following through. My biggest struggle is setting manageable goals for myself – so why make something that’s hard, even harder? This year, I’m taking a whole new approach to New Year’s resolutions and setting manageable expectations for myself so that at the end of the year, I can truly feel like I’ve accomplished something. Today I’m sharing my obtainable New Years Resolutions with Marshalls…..and how my husband will be coming along for the ride this year. Every year my husband and I find ourselves getting really jazzed about setting a New Year’s resolution, but then when the new year hits, the excuses pour in. Anyone else? This year, I had to do something different for myself – something obtainable. And, having that harsh realization with yourself isn’t easy. This year I have been extremely inspired to makemyself stronger and healthier. Now, yes, that’s all easier said than done, but this year I created a plan that would help me stay on this wellness track and I’m bringing my husband with me! I’ve always been someone who works out 2 – 3 times a week and considered myself strong. Boy was I wrong. Recently I started a new workout and was inspired by all the other people who were in engaging in the workout, too. It is a circuit training program with weekly workouts in their app. After the first week of the program, I knew this was the program to help me get on the path to a stronger me. The workouts are designed to be done anywhere…even in your living room! With my heart full of inspiration, I went to Marshalls to shop for some items to help me on my resolution road. Since the workout requires some equipment here and there, I went Marshalls knowing that I’d find high–quality items that would help me achieve my workout goals. First thing’s first, I needed a good mat. I scored big with this yoga mat that was $19.99. I love that the mat has a lot of cushion compared to other mats and gives my back a lot of support during the workout. 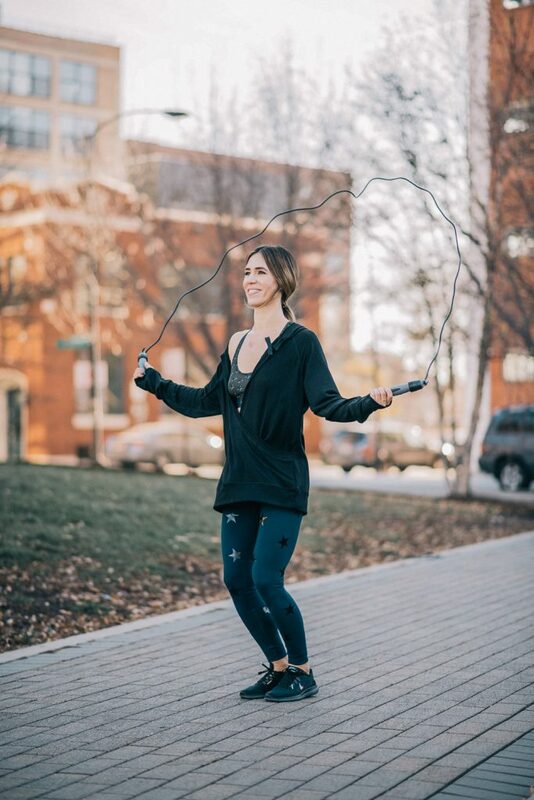 I also picked up a jump rope for the workouts that has a tracker in the handle – I love this fun feature and it really helps me track my progress. The one thing I love about these workouts is that they can be done anywhere, but there are those times where I’ll do them in a gym if I need gym equipment for an exercise. I picked up these name–brand wireless headphones from Marshalls for $14.99 for those particular workouts so that I can jam out during my workouts wirelessly. Since every workout requires recovery, I bought my first foam roller! And this foam roller is no joke – the texture really helps penetrate your muscles to release all that lactic acid after your workouts! Normally these can range from $30 – $50, but I bought it from Marshalls for $12.99!! 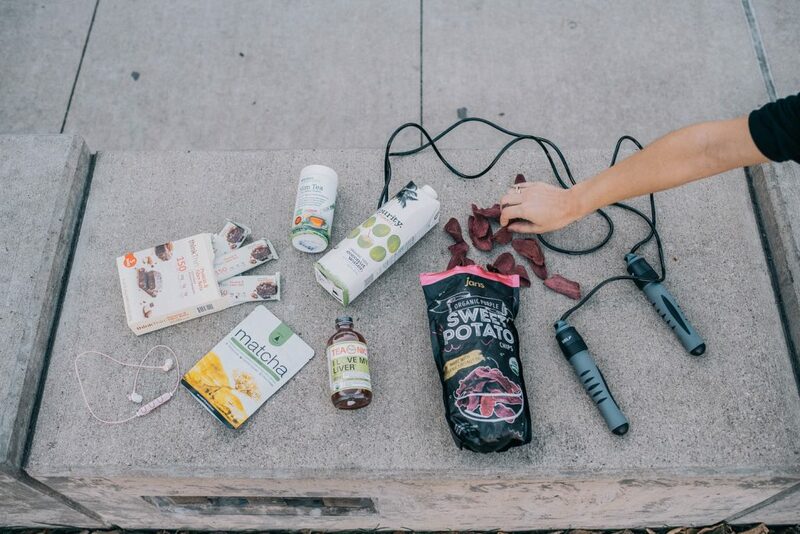 To help amplify my workouts, I picked up a couple of treats to jumpstart my road to a healthier diet, including matchapowder, coconut water, organic tea and sweet potato chips. I love that Marshalls has an entire shelf in the food department dedicated to organic / healthy snacks – some of which are unique products and brands. The even BETTER part, you don’t have to feel like you are breaking the bank when buying these high–quality organic products. Many of the items are priced under $5.99! The best way to kick–start any New Year’s resolution? Get someone to do it with you!! My husband was the same way about working out – we both just worked out when it was most convenient. This new workout not only adds structure to our week, but it’s something new that we can enjoy together. To help get us extra motivated, I picked up some fresh new digs for us both to wear to get us excited for our New Year’s resolution! 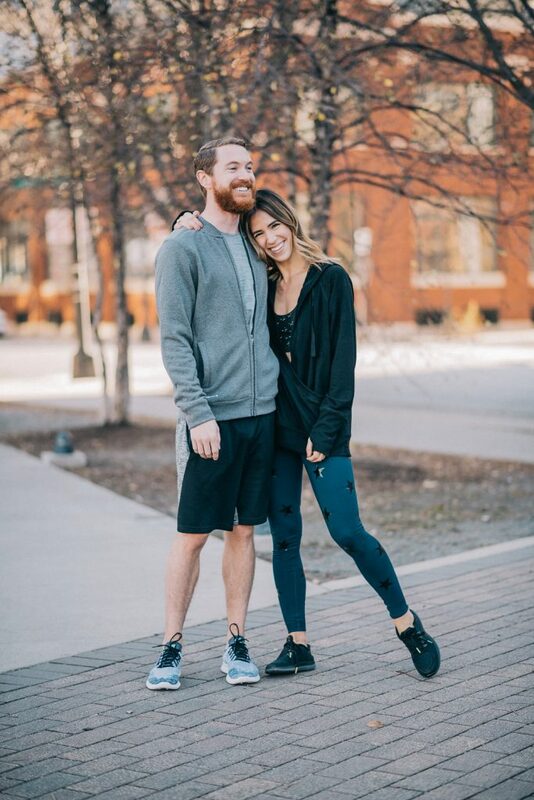 Being able to find a look for me and Brian in the same place was key – I love that I can find so many great quality athletic pieces at Marshalls for less! You know what they say – you look good, you feel good! Head over to the Marshalls website to learn more about my #MarshallsSurprise. This posts been been sponsored by Marshalls – all thoughts are my own.